"What's really rare are places where people can feel safe, and content and cared for and begin to gather their strength. When they're ready for the next step, they'll take it. But in order for that to happen we as helpers and rescuers and healers have to learn to bear the anxiety of not knowing when, or even if that step will be taken. We need to understand that wounds which were inflicted over the course of years will not be healed in months." For the first week, she did nothing but lay in her bed. I would encourage her to eat, and she would, but then she would return to her blankets and curl up and sleep. She had little to no energy. She could not run or jump or climb. She was a kitten, but just barely. She had a significant head tremor which would appear when she was startled or frightened which gave her the appearance of a fluffy bobble toy. She was quiet, aside from a small, cracked meow she gave one day. It sounded hoarse and static-y, like the sound an old fashioned record player would make when you lifted the needle. How many hours had she spent crying for help which had not come? How long had it taken for her vocal chords to give out and for her to despair and forget her voice? I don't know, but to this day, she is still a very quiet cat. Over those first few weeks she started to gain strength. She began to venture out of her little cage and found a bigger bed she could be even more comfortable on. It took her a month to start to climb and jump. Little by little she came back to herself and back to life. She's four months old now and to look at her you'd never know she was ever a sick kitten. She runs, she jumps, she plays, she bites, she attacks anything that moves. Her eyes are bright and her fur is soft and she purrs like a freight train when she greets you. She is affection in feline form, never tiring of cuddles. Physically, she's in perfect shape. But mentally, she still bears the scars of her early ordeal. She's terrified of the world beyond the room she lives in. An invisible barrier extends there and she will not go past it. If she is taken past it she panics, her claws dig in, her eyes go wide and her little heart races with pure fear. She is exceptionally territorial with regards to the room itself. Any other animal entering is repelled with the calculated fury of a predator. She does not merely attack, she hunts her prey. No matter how friendly other animals are, her agenda is simple. They must be destroyed. It's easy to understand why she would be this way. Her early experiences were of extreme, life threatening deprivation. She was friendly enough when found, which means that she was not feral. She was raised by people who at some point took her from her mother and left her in the middle of nowhere to fend for herself, which she could not do. She was too young, too weak, too slow. The world would have swallowed her up and left nothing but bones if it were not for a kind woman who found her and got her help. Now she has warmth, and food and comfort as she pleases. She has taken the room as her domain. But it is a lonely life for a kitten in many respects and though she is content, it is hard to say that a cat who lives restricted to one room has a full life. As she is physically healthy, the challenge now is to deal with some of the mental barriers surrounding territory. Before she can learn to share her space, she needs to learn to feel safe in spaces other than the room. The hallway, for instance. It is impossible to keep healthy, happy, kittens out of the hallway. When opening the door of our foster kitten room one has to be careful not to unleash a torrent of furry curiosity. But this kitten crouches at a distance from the door and she observes the hallway with deep suspicion. ﻿At first I tried simply taking her into the hallway, but her fear meant that she stayed in a highly stressed state the entire time, holding onto me for dear life and turning my skin into red ribbons with her claws. I knew it would be better if she explored it of her own free will. I tried letting her see younger kittens running up and down the hall. She responded by trying to hunt them. Again, not precisely successful. Then there were attempts with toys. Balls that run on tracks and make interesting sounds, pieces of elastic string and dangling feathers, little toy mice. All to no avail. For each of them she would crouch at the invisible line and she would go no further. We had not played with the laser pointer with her before. It was unearthed from a small mountain of kitten toys and brought forth to see if it might please the little empress. And lo! The red dot did spark her interest and within seconds she had darted out of the room and into the hallway. She was shocked to find herself there and promptly returned to the safety of the room, but a moment later she ventured out again. In a couple of minutes, she was running up and down part of the hallway, declaring death on little red dots. There was one point she would not cross, so the invisible barrier was still there, but it had moved by several meters – and that was progress. Sometimes, when we want the best for someone, it is tempting to push and prod and put pressure on them to take what we feel is the next necessary step for them to overcome their fear and explore their world a little more. But all that does is create more anxiety and resistance and if it is done too much it can even erode trust forever. If I had kept dragging the kitten various places she would soon have learned to hide from me when I approached her. Our bond would have been severely degraded as a result of pushing too hard. Instead of forcing matters, it is better to find the irresistible lure, the little red dot which when applied at the right moment, provides the motivation for the next step to be taken. There's more to be learned from this kitten. Just because someone looks ready, does not mean they are. And even when you think you know someone and their story, it is often hard to really gauge what they have been through and the depth of the scars left behind. I want nothing more for this kitten than to see her curled up happily with our other animals and having free range of the house. That day will come, I am fairly sure of it, but I cannot rush it, nor can I force it. Sometimes what might seem like well-intentioned pushing is more about what we want for someone or something than what they need. It is about our desires, our need to see improvement, to be the rescuer, to fix what is broken. I want the kitten to be 'normal', but she is not. That does not mean she cannot be happy, but it does mean we will both be miserable if I do not work with her where she is. Sometimes it is hard to watch the struggles of another being. Sometimes there's a temptation to step in and get the work done as quickly as possible so that we don't have to bear witness to the brokenness anymore. If that temptation is given into, the recipient of our attentions is not the one served. In my opinion, providing a safe space from which the world can be explored, and being someone who can be trusted not to push too much or too often is more valuable than fixing an animal right away. Healing is a natural process which takes place in its own time when the conditions are right. If you feed and water a plant, it will grow. You do not need to ask it incessant questions about what it might feel like to have its first bud, or encourage it to open its petals and flower. When any living thing gets what it needs, it will flourish. The world is full of pushing and shoving and people who think they know what everybody else needs. What's really rare and much more important in my opinion, are places where people can feel safe, and content and cared for and begin to gather their strength. When they're ready for the next step, they'll take it. But in order for that to happen we as helpers and rescuers and healers have to learn to bear the anxiety of not knowing when, or even if that step will be taken. We need to understand that wounds which were inflicted over the course of years will not be healed in months. And we need to understand that in order for that healing to happen, there is pain on both sides. It hurts to help sometimes. It hurts to bear witness to the pain of suffering animals and people. But that doesn't excuse trying to rush the process of healing. A starving animal is not saved with one big meal, but with a lot of little ones. Someone who had a going out of business sale on feelings when they were five is not going to eagerly explore the depths of their emotional experience at thirty five without a fair amount of support and patience. 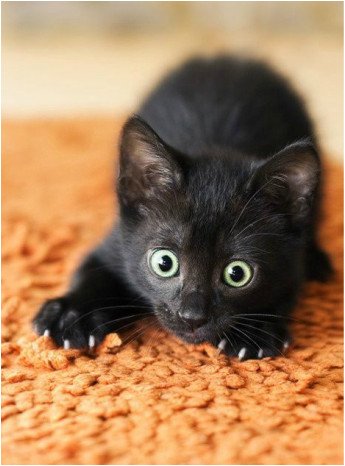 Like the kitten carried into the hallway against her will, all that pushing does is create panic and fear and distrust – and a fairly high chance of getting scratched in the process. ​These pieces of writing are by an anonymous client of Lucid Psychotherapy and Counselling. They reflect this persons experience of being a client in therapy; their struggles, their growth and their reflections. Everyone has a unique experience of therapy, however there tend to be some similarities between our experiences as clients - somethings we can all relate to. Hopefully these pieces of writing will inspire you to reflect on how you experience your life (and therapy, if you're a client), and provide you with some encouragement with whatever challenges you are facing in your life.